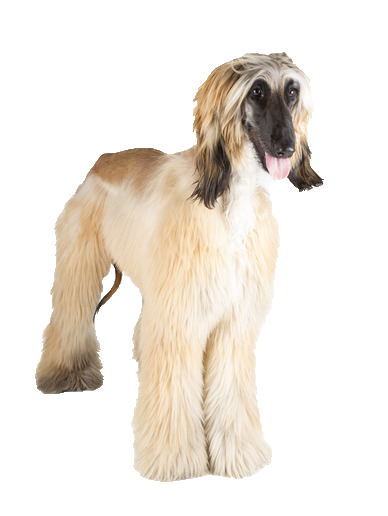 Developed from the sight hounds that lived in Egypt and Afghanistan, your elegant Afghan hound is one of the oldest breeds in the world, dating back to the very first dogs in history. Your Afghan is an independent dog who can be stubborn at times. These traits are testament to his rich hunting background. He can be slow to learn but what he lacks in tricks, he gains with his loving, loyal nature. We have a great selection of natural, organic dog treats to help encourage productive training.